Attempts to gain insight into Neanderthal diet have been many and various over the years. Methods have included consideration of dental microwear, tooth calculus, lithic use-wear and residues, and stable carbon and nitrogen isotope data. These studies have shown that the Neanderthal diet included the consumption of large herbivores, but the extent to which smaller mammals, birds, riverine and seafood was eaten remains uncertain. To address these issues, researchers conducted carbon and nitrogen stable isotope analyses of collagen extracted from Neanderthal remains from the Belgian sites of Goyet and Spy. Results were compared with those from extensive faunal remains from Goyet, Spy and a third Belgian site, Scladina. These included mammoth, rhino, horse, reindeer, hyena, wolf, cave bear and cave lions. The proportion of the isotopes carbon-13 and nitrogen-15 reflect an animal’s place in the food chain: the highest levels are found in carnivores. The results show that Neanderthal isotope levels and hence diet differed from that of any carnivore, indicating that they occupied a distinct ecological niche. The overall data suggested that while predators typically preferred smaller animals such as reindeer and horse, the Neanderthal focus was on large herbivores. Mammoth was the most important source of meat, accounting for around 30 to 40 percent of the Neanderthal diet. Reindeer and rhino accounted for lesser proportions, and plant food for about 20 percent. Wißing, C. et al., Isotopic evidence for dietary ecology of late Neandertals in North-Western Europe. Quaternary International, http://dx.doi.org/10.1016/j.quaint.2015.09.091 (2015). Agriculture reached Britain and Ireland around 4000 BC, but the means by which the transition from hunting, fishing and gathering occurred has been debated for many years. One view is that indigenous Mesolithic people acquired domesticated crops and animals from continental Europe, but retained much of their existing lifestyle. Another is that Neolithic farmers arrived from the continent and spread rapidly. This latter scenario proposes that a rapid acculturation of indigenous Mesolithic people followed. Previous work has considered stable carbon isotope signatures of bone collagen extracted from Mesolithic and Neolithic human remains. The results suggested that in coastal environments, the Mesolithic diet included a significant amount of marine protein, but that of the Neolithic farmers was predominantly terrestrial-based. However, doubts have been expressed about the sensitivity of the bone collagen stable isotope analysis to low-protein diets; quantities of less than 20 percent marine protein in the diet would be undetectable. Possible Neolithic shell middens from Scotland and Ireland suggest that seafood continued to be eaten. To address this uncertainty, researchers analysed lipid residues recovered from Neolithic pottery sherds from coastal sites in Britain, the Scottish Isles, and Ireland. To extend the chronological period, material was also included from sites dating to the Bronze Age through to the Viking period. The results confirmed the near-complete absence of marine protein from the Neolithic diet and the strong presence of dairy products. This remained the case during the Bronze Age, and it was not until Viking times did marine protein again become a significant dietary item. Similar studies in the Baltic region indicate a different pattern. There, hunting, gathering and fishing continued alongside farming. The contrasting patterns occurring at the same time in different regions suggest geographically-distinct ecological, demographic and cultural influences dictating the adoption of agriculture. The rapid shift to an intensive dairy economy is consistent with the low frequency of lactose intolerance among modern inhabitants of northwest European archipelagos. The evolutionary processes driving lactase persistence in adults would have been driven by the increasing importance of dairy products in the diet. Cramp, L. et al., Immediate replacement of fishing with dairying by the earliest farmers of the northeast Atlantic archipelagos. Proceedings of the Royal Society B 281 (2014). Study indicates that foragers maintained way of life alongside farming communities. Farming spread across Europe from Southwest Asia between 6500 and 4000 BC, but interactions between the indigenous Mesolithic hunter-gatherers and incoming Neolithic farmers are poorly understood. The general view is that hunter-gathering disappeared soon after the arrival of agriculture, but whether the hunter-gatherers took up farming themselves or simply died out remains uncertain. In order to investigate relationships between foragers and farmers, researchers examined Mesolithic and Neolithic samples from Blätterhöhle, a cave site near Hagen in North Rhine-Westphalia, Germany (Bollongino, et al., 2013). The cave contained the remains of around 450 Neolithic and Mesolithic individuals. It is likely that it was a burial ground, and that these individuals were deposited there deliberately. Radiocarbon dating has revealed two phases of occupation: a Mesolithic occupation from 9210 to 8340 BC, and a Late Neolithic occupation from 3986 to 2918 BC. Stable isotope analysis and ancient mitochondrial DNA extraction was carried out on the bones and teeth of 29 individuals. Isotopic ratios of sulphur, nitrogen and carbon in human remains can provide an insight into the diet of an individual while they were alive. Mitochondrial DNA can trace maternal ancestry. Of the 29 individuals sampled, 25 yielded usable mitochondrial DNA; five from the Mesolithic occupation and 20 from the Late Neolithic occupation. The five Mesolithic-era individuals all belonged to mitochondrial haplogroup U, in common with other pre-Neolithic hunter-gatherers of central, eastern and northern Europe. More unexpectedly, twelve of the Neolithic-era individuals also belonged to haplogroup U. This haplogroup is rare among Late Neolithic farmers, and suggests a surprising persistence of Mesolithic maternal ancestry. The remaining eight individuals belonged to typical Neolithic haplogroups. Stable isotope analysis indicated the existence of three distinct groups. The first, comprising the Mesolithic-era individuals, subsisted on a diet of wild foods typical of that found at other inland Mesolithic sites. The second group comprised Late Neolithic individuals with a diet of domesticated animals typical of German Neolithic sites. The third group was also from the Late Neolithic, but diet was unusual: low in plant and animal protein and high in freshwater fish. The members of this third group all belonged to mitochondrial haplogroup U, whereas members of the contemporary second group were a mixture of Mesolithic and Neolithic haplogroups. Thus it appears that a group of fisher-foragers were living alongside a group of farmers in the fourth millennium BC, which is around 2,000 years after agriculture reached central Europe. That both groups used the Blätterhöhle cave site at the same time indicates that they were near-neighbours. Ethnographic data shows that such communities do live side by side, commonly exchanging food; for example cereals for fish. While forager women do marry into farming communities, the reverse is very rare as women from farming communities regard it as marrying down. The mitochondrial results are consistent with the ethnographic picture: no Neolithic haplogroups were found among the fisher-foragers; but the Mesolithic haplogroup U was present among the farmers. It is unclear just how prevalent such forager communities were in Late Neolithic Europe, but the Blätterhöhle results are the strongest indication yet that such genetically-distinct communities persisted long after the arrival of farming. The ultimate fate of these communities remains uncertain. The authors of the study suggest that some groups may have eventually changed over to farming, although it has been suggested that incoming farmers would rapidly appropriate all the prime farmland, making such a switch problematic (Bellwood, 2005). 1. Bollongino, R. et al., 2000 Years of Parallel Societies in Stone Age Central Europe. Science 342, 479-481 (2013). 2. Bellwood, P., First Farmers (Blackwell Publishing, Oxford, 2005). Mesolithic foragers were gradually assimilated into farming communities. The Iron Gates are a series of gorges situated on the Danube between the Carpathian Mountains and the Dinaric Alps. In the early millennia after the last Ice Age, the region supported a number of sedentary or near-sedentary Mesolithic communities. At the sites of Lepenski Vir, Padina and Vlasac, fishers exploited migratory sturgeon, catfish, carp and other species (Borić, 2002). There is no evidence for long-distance interactions during the early Mesolithic period from 9500 to 7400 BC, but these increased during the period from 7400 to 6200 BC. Archaeological evidence is based on the presence of the marine gastropods Columbella rustica and Cyclope neritea, which must have come from coastal regions more than 400 km (250 miles) away. This period was characterised by long-lasting and evidently successful communities. A large number of burials have been excavated, with bodies typically in the extended supine position characteristic of Mesolithic inhumations (Borić & Price, 2013). 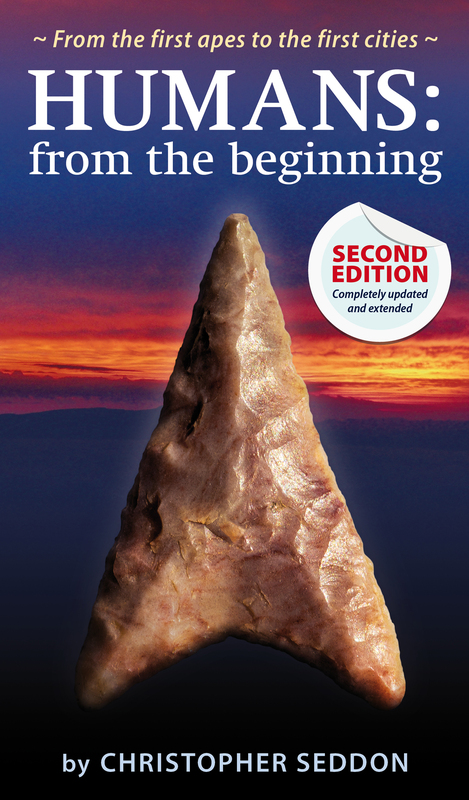 The period between 6200 and 6000 BC saw a Mesolithic to Neolithic transition in the region, and was characterised by cultural hybridity (Borić & Price, 2013). At Lepenski Vir, remarkable trapezoidal, semi-subterranean, flat-roofed dwellings were constructed on the banks of the Danube (Borić, 2002). They varied in size from 5 to 30 sq. m. (54 to 320 sq. ft.), with the wider ends facing the river. The floors were dug 0.5 to 1.5 m (1 ft. 8 in. to 3 ft. 3 in.) into the terraced slopes of the river bank, and were surfaced with reddish limestone plaster. Inside, elongated pits lined with limestone blocks served as hearths (Mithen, 1994; Borić, 2002). Many houses contained burials, although burials were also placed outside houses (Radovanovic, 2000). Human/fish anthropomorphic sculptures carved from boulders were also found in many of the houses. These have been interpreted as evidence of a belief system characterised by a totemic relationship between humans and the fish that were so vital to their subsistence economy (Borić, 2005). In addition to these indigenous elements, Neolithic elements including pottery and polished stone axes appeared at Lepenski Vir (Borić & Price, 2013). At this stage, the lack of domesticated animals at suggests that subsistence patterns remained unchanged. Mortuary practices were still characterised by typical Mesolithic extended supine burials during this period. However, the Early Neolithic site of Ajmana, in the downstream area of the gorges, was contemporary with these indigenous forager communities. By 6000 BC, further changes were evident in the region with the first appearance of crouched/flexed burials characteristic of the Neolithic period. The trapezoidal buildings of Lepenski Vir were replaced by more typical Neolithic constructions, and there was an increase in the number of settlements across the region as a whole (Borić & Price, 2013). In total, over 500 graves have been excavated from the Mesolithic and Early Neolithic periods in the Danubian Iron Gates, and stable isotope analysis of the remains has provided considerable insight into the transition to agriculture in the region. Dietary data inferred from carbon and nitrogen isotope analysis of bone collagen suggests that after around 6200 BC, there was a shift from the Mesolithic reliance on the locally-abundant fish to a cereal-based diet. Strontium isotope data from dental enamel indicate that at the same time, burials of non-local first-generation migrants increased significantly. These burials are predominantly of the crouched/flexed type. Notably, 87Sr/86Sr ratios of these migrants fall both above and below local values, suggesting that they originated from at least two geologically-distinct regions. The dating of remains suggests that they might have arrived in several waves (Borić & Price, 2013). Paradoxically, it appears that during the earliest stages of the Neolithic in southeastern Europe, Neolithic farmers were more mobile than the indigenous foragers, who remained tied to their Danubian fishing niche. The data from Lepenski Vir shows that during the transitional period, more nonlocal women than men were buried at the site. The suggestion is that women came to the site from Neolithic communities as part of an ongoing social exchange. At the same time, the numbers of Neolithic-type artefacts at the site testify to an increasing Neolithic presence in the region, and the Mesolithic way of life came under growing pressure. The period of co-existence lasted for two centuries between 6200 and 6000 BC, but in the centuries thereafter the foragers were completely absorbed into the farming communities and their way of life finally vanished (Borić & Price, 2013). 1. Borić, D., The Lepenski Vir conundrum: reinterpretation of the Mesolithic and Neolithic sequences in the Danube Gorges. Antiquity 76 (294), 1026–1039 (2002). 2. Borić, D. & Price, D., Strontium isotopes document greater human mobility at the start of the Balkan Neolithic. PNAS 110 (9), 3298–3303 (2013). 3. Mithen, S., in Prehistoric Europe, edited by Cunliffe, B. (Oxford University Press, Oxford, 1994), pp. 79-135. 4. Radovanovic, I., Houses and burials at Lepenski Vir. European Journal of Archaeology 3 (3), 330-349 (2000). 5. Borić, D., Body Metamorphosis and Animality: Volatile Bodies and Boulder Artworks from Lepenski Vir. Cambridge Archaeological Journal 15 (1), 35–69 (2005).